*UPDATE: As of April 2017, Dyne Fire Sprinkler Test Report’s now reflect when a sprinkler passes or fails a requirement, see the Sprinkler Sample Report for an example. *UPDATE: As of March 2017, Dyne will no longer be checking sprinklers for recalls, see the Dyne Blog for more details. 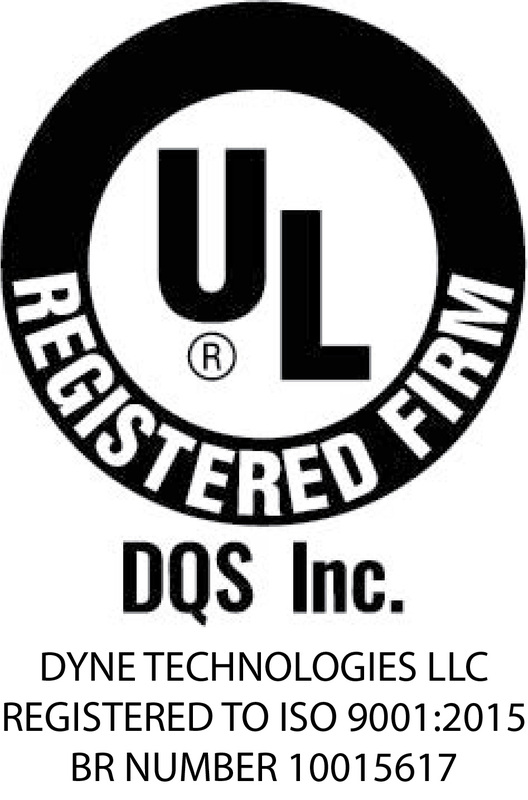 Dyne Technologies, LLC is pleased to announce its new testing service – sprinkler testing. The NFPA 25 Standard for the Inspection, Testing, and Maintenance of Water-Based Fire Protection Systems requires that field sprinklers be either tested or replaced at periodical time frames. Dyne is adding this testing service to its well-established offerings of firefighting foam and antifreeze testing. As with its existing services, Dyne will offer guaranteed turnaround time, free test kits and shipping (within the continental United States), on-line reports, accurate and reliable results and unparalleled customer service. Sprinkler testing is discussed in Chapter 5 section 5.3 of the 2017 edition of NFPA 25. Sprinklers are required to either be replaced or tested based on the following time frames. Furthermore, if testing is completed, NFPA 25 requires a minimum of not less than four sprinklers or 1 percent of the number of sprinklers per individual sprinkler sample, whichever is greater. When deciding whether to test or replace the sprinklers in a system, cost may be a critical factor. Testing 1% or the sprinklers will cost significantly less than replacing all of the sprinklers in a system. Sprinklers sent to Dyne for testing will be visual inspected for corrosion, physical damage, loading and paint (other than paint applied by the sprinkler manufacturer). The sprinklers will also be subjected to a plunge oven test to determine the release time. This test measures the time it takes the sprinkler to release when exposed to a specified temperature and air flow. As required by Underwriters Laboratory 199, International Standards Organization 6182-1, and Factory Mutual Class Number 2000, the Response Time Index (RTI) value (meter/second)1/2 between 80 and 350 is required for a standard sprinkler while a maximum value of 50 is required for a fast response sprinkler. If the RTI value from the field sample is outside of the prescribed ranges, the result will need to be discussed with the AHJ to determine if the sprinkler fails the testing requirements. If one of the sprinklers in a system is determined to fail the test requirements, all the sprinklers will need to be replaced. Dyne has purchased a state-of-the-art plunge oven test from the manufacturer that has made these ovens for many of the test organizations and sprinkler manufacturers both in the US and abroad. The oven precisely controls both the temperature and velocity of the air flow in order to provide accurate and reproducible results. Dyne is an ISO-9001 certified laboratory with established quality procedures to ensure the oven is continuously calibrated, maintained and operated by trained technicians. Testing has also been conducted in conjunction with some of the US sprinkler manufacturers to verify test results. Dyne is offering free test kits that accommodate standard size sprinklers. The kits contain packing, a pen, sprinkler tags and paperwork in addition to free shipping labels (in the continental US) via either US mail or UPS. The kits make it easy for building owners and sprinkler contractors to package and send sprinklers to the Dyne lab for testing. The test kits also ensure one cost with no variable or undefined costs for packaging and shipping. Once received in the laboratory, Dyne logs the sprinklers into a database, sending a receipt email to the customer. The sprinklers are bar coded to ensure proper identification as they move through the test process. Standard testing will be completed in 5-days while express testing is available in a 24-hour time frame with an additional express testing fee. When the testing is completed, a detailed report will be sent to the customer via email. Customers can also access their reports through a secure web site using an assigned ID and password. This ensures ready access to test results without concerns for misplacement or loss. A laminated system tag and hard copy report is also available via mail for a small additional handling fee, if requested. Dyne will also provide photos of all samples sent in for testing as an additional feature for all emailed reports. We are providing this additional documentation to help the building owner, sprinkler contractor and the AHJ make the decision as to whether any noted impairments warrant replacement of all the sprinklers in the system. We at Dyne are excited to offer this new testing service to our customers. By making the testing process easy and seamless, it is more likely to be completed which will ensure sprinkler systems operated effectively. For information on Dyne sprinkler testing services, send an email to lab@dyneusa.com or give us a call at 800-632-2304.